The Saab 95, like the Volvo Duett, was a basic but bulletproof station wagon. It would endure for 20 years. It was available as a seven-passenger wagon for most of its life until safety issues canceled the rear-facing third seat in 1975. The first version was based on the Saab 93, but since it had the bigger 841 cc two-stroke triple and a four-speed transmission it more resembles the 96. Only about 40 were made the first year, (with suicide front doors) so the start year is often noted as 1960. The four-speed gave considerable advantage in competition, since the two-stroke had little torque, so a number of wagons were rallied instead of the three-speed sedans. It’s a curious-looking vehicle, since to get the suitable body length, the rear fenders were extended as fins. There was a two-piece tailgate and fixed side windows. The nose was extended in 1964 and triple carburetors were available in 1966. With U.S. emission rules looming, the two-stroke engine was axed in 1967. The German Ford V-4 four-stroke engine was available with a 1,498 cc displacement in Europe, and in 1971 with 1,698 cc in the U.S. The V-4 engines were designed to run generators at steady rpm, so they had fiber timing gears. Brisk acceleration and deceleration dramatically shorted the lifespan of these, and they are best replaced with steel or alloy gears. Another weakness, which was evident throughout the Saab range, was the freewheel gear that was so necessary to the two-stroke engine. If you shut the throttle on deceleration it also cut off the oil supply and the motor would seize. The free-wheel enabled it to idle, until power was reapplied. The problem was that the V-4 had about double the torque than the 841 cc two-stroke, which was half its displacement. The freewheel gear was not up to the task and when it failed the driver was left with “a box full of neutrals”. Worse yet, the entire drive train had to be removed to get at the failed item. The Saab 95 remained on sale in the U.S. through 1973. It gained a larger grille and bigger tail lights in 1969, and impact bumpers in 1975. The last 95s were sold in Europe in 1978. 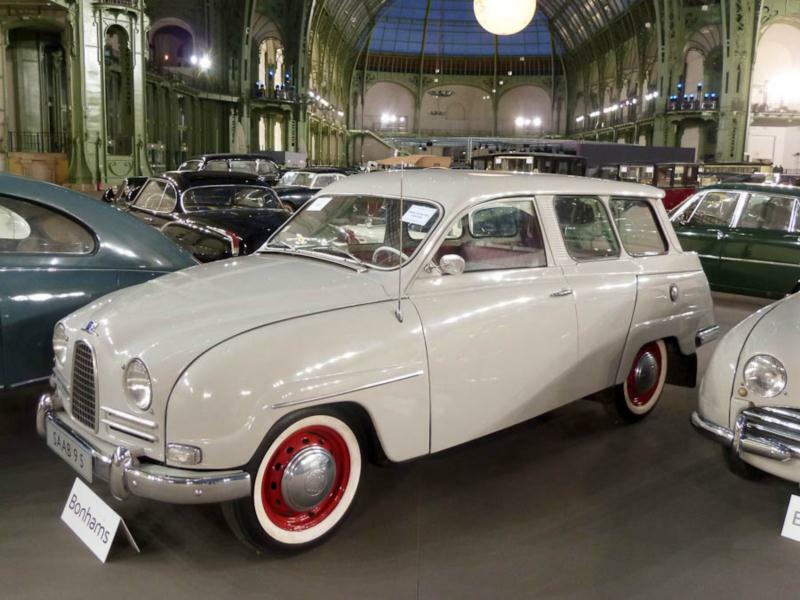 Their obvious commercial appeal was recognized in certain markets like Norway and Denmark where sedan deliveries were made, without side windows. A number of companies (and some individuals) also created pickup versions.